Hi Anonymous -- this label is exclusive to M&S. Their website often doesn't have the same wines as instore, so you'll be best to visit your local M&S and if its not in stock ask them to order some for you. I would like to share the tasting notes of this Pinotage. 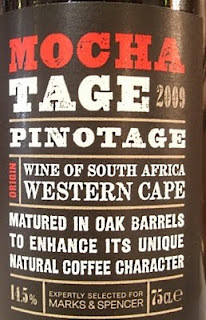 Pinotage is a unique grape variety to South Africa. This exceptional Pinotage was produced from bush vines planted in 1955, the only remaining original plantings in Durbanville. Jeerendal with its rich history dating back to 1702, is proud to treasure this heritage block of Pinotage. After half a century of growing in the weathered shale soils on the estate these vines have harmonized with their surroundings. The wine was made from hand picked grapes in traditional open fermenters with punch down’s every four hours. New French oak barrels were used for the 16-month maturation. 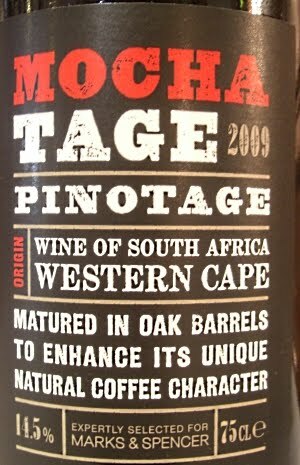 This cool climate Pinotage has supple, fine-grained tannins that complement the concentrated berry flavours. The wine has excellent maturation potential. A limited quantity has been produced from this single vineyard and released for the first time in 2007. VISUAL ANALYSIS: limpid, ruby red with carmine reflexes, quite flowing. OLFACTORY ANALYSIS: the range of scents is composed by nutmeg, chocolate, well ripe ribes, natural rubber, dry petals of rose and black olives. 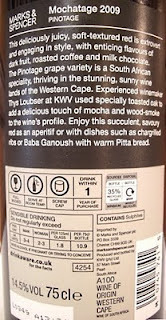 GUSTATIVE ANALYSIS: dry, good sensation of pseudo-warmth and great sapidity; the structure is good-natured and the tannin is present at the end of the gustative exam with some astringent touches and several pinches of bitterish tendency. The final flavour coincides with what it has been perceived at the olfactory analysis, that’s to say spices and ripe fruits. MY PERSONAL OPINION: an intense and fascinating wine for experts and regular tasters endowed of fine and fastidious palates. In any case, a great red wine. Just got our first bottle of this wine and it will not be our last! A very interesting bottle indeed with a case for Christmas at the very least.